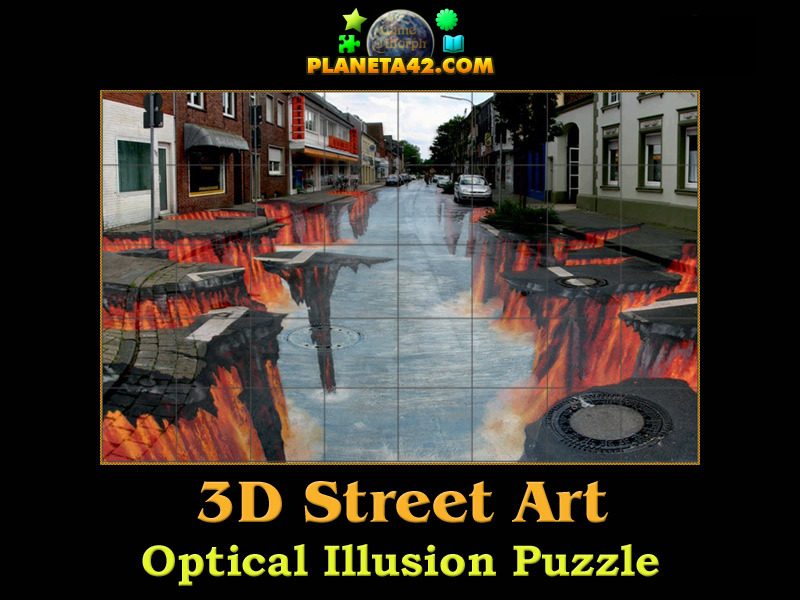 3D Street Art optical illusion in a fun online puzzle. played in the web browser. Sort the hidden picture. The Psychology Knowledge Board include 40 square pieces to rotate and finish the picture of a fantasy 3D street art. 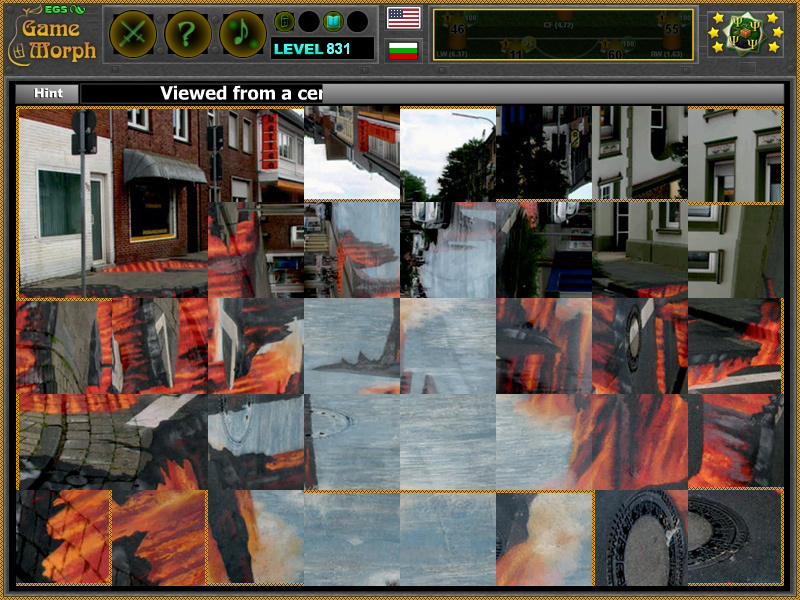 It is part of the Interactive Mind Studies educational tools. How the 3D street art looks like? How to play 3D Street Art. Know a famous drawing with 3D Street Art optical illusion. Class subject: 3D street art optical illusions. This type of optical illusions are viewed at a certain angle to bring an exciting feeling of another worlds. Here are more 3D street arts.